1966 baseball card for Willy Stargell. If you haven’t noticed, along with my love of New Mexico, trains and conservation, I like baseball, especially Chicago White Sox baseball. (See post of April 19, 2014) Expect a post or two in the future on the White Sox, but I have been sparing you thus far. I like golf too but we’ll see if any traffic comes from that. (There is both an American Indian and a Roswell local who did well on the links from the State). Here’s a few baseball tidbits from Roswell. There’s not much to work with. Roswell has hosted a number of minor league teams over the years with a number of colorful names–Giants (1923), Sunshiners, Rockets, Pirates and Invaders. According to a brief biography, one of my favorite major leaguers growing up had a Roswell incident of his own. In a 1959 Minor League game in Roswell, Stargell, playing for the Roswell Pirates, was approached by a man with a shotgun. Pointing it at his head, the man threatened to kill Stargell if he played in that night’s game. Nothing more resulted from the incident, and the determined Stargell still played in the game. Even as a nineteen year old, he showed a lot of promise, collecting 87 RBIs and hitting .274 that year for the Roswell team. In 1961, the Pittsburgh Pirates would call him up to the big leagues. He would spend his next 21 years there. On Oct. 17, 1979, Willie Stargell would hit a home run giving Pirates a win in Game 7 of World Series. 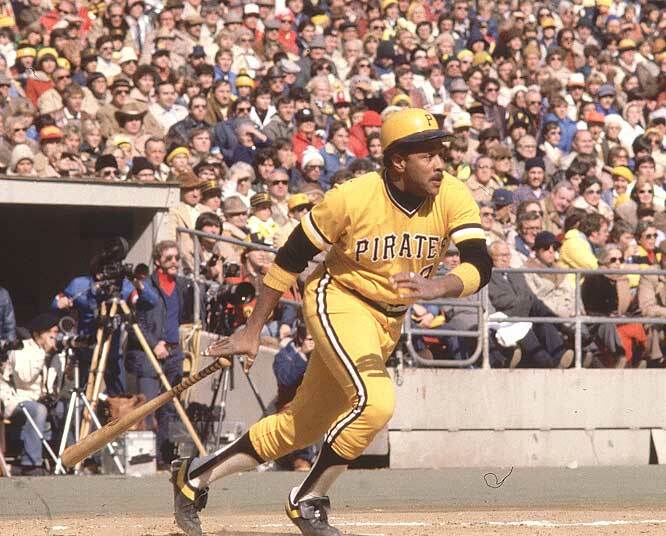 Fortunately, Stargell shook off the guy with the shotgun, He would go on to hit 475 major league home runs and drive in 1,540 runs over his career. Unbelievably, only one native of Roswell has ever made it to “the Show.” Lefty Scott was born on Thursday, July 15, 1915. Scott was 29 years old when he broke into the big leagues on June 15, 1945, with the Philadelphia Phillies. He pitched in eight games. Sadly, that was it. There is a picture that is alleged to be his photo on the internet, but it is so poor that it doesn’t merit being in the post. There have been about 25 major leaguers from New Mexico, but Roswell has been largely infertile for the cultivation of major leaguers thus far. Here are a few from at least southern New Mexico. Steve Ontiveros was born on Sunday, March 5, 1961, in Tularosa, New Mexico. Ontiveros was 24 years old when he broke into the big leagues on June 14, 1985, with the Oakland Athletics. He enjoyed one of the more successful careers of the handful of native New Mexicans to play in the big leagues. He played from 1985 to 2000. He moved around some, but spent the bulk of his seasons with the Athletics. Scott Terry was born on Saturday, November 21, 1959, in Hobbs, New Mexico. 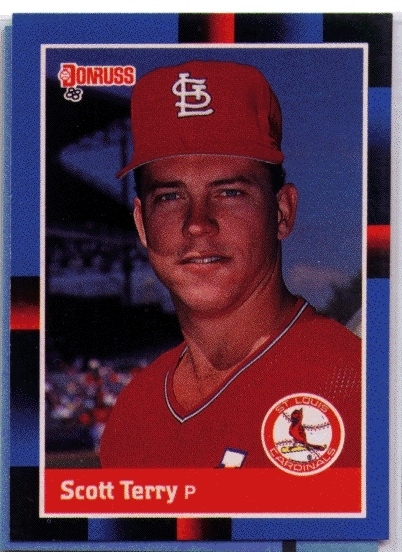 Terry was 26 years old when he broke into the big leagues on April 9, 1986, with the Cincinnati Reds. He had a respectable career. He pitched in 236 games over a six year career. Jimmy Freeman was born on Friday, June 29, 1951, in Carlsbad, New Mexico. Freeman was 21 years old when he broke into the big leagues on September 1, 1972, with the Atlanta Braves. Sadly, Jimmie’s career was rather short. He only appeared in 19 major league games, all for the Braves. 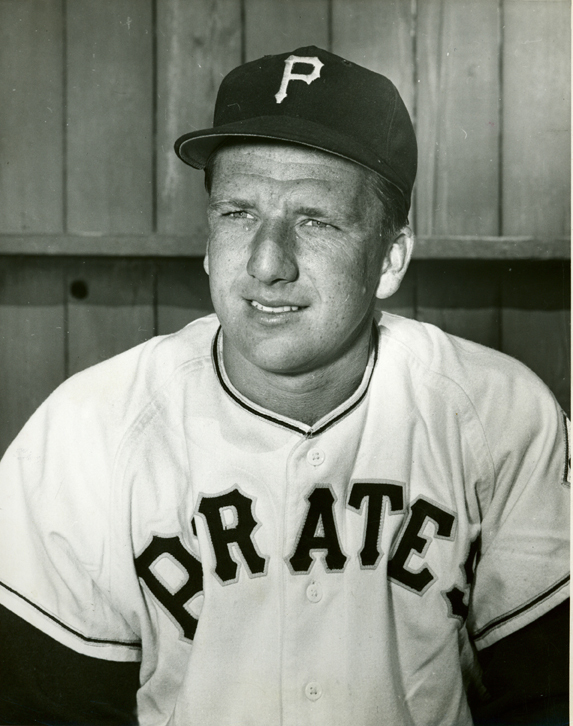 Probably the best known major leaguer native to New Mexico is Ralph Kiner. Kiner was born in Santa Rita, NM in 1922. Due to back problems he only played from 1946 to 1955, but he had many great seasons, including leading the league in homeruns six consecutive seasons. Kiner was not especially fast and contrast to the 1950 Phillies “Whiz Kids,” he and his fellow outfielders during his tenure in Chicago were referred to as the “Quicksand Kids,” He died from natural causes on February 6, 2014 at the age of 91. A famous quote was attributed to Branch Rickey when Kiner was traded to Chicago from Pittsburgh. Rickey reportedly told Kiner, “We finished last with you, we can finish last without you.” During his nine years of play, Kiner hit 369 home runs and batted in 1,015 runs. Kiner’s voice became very well known to New Yorkers. He broadcast Mets games from 1962 until 2006. Kiner spent some of his childhood in California, but not a bad career for a kid born in what is now a ghost town in New Mexico!